Aluminium wax pot (16 oz) with metallic lid included. 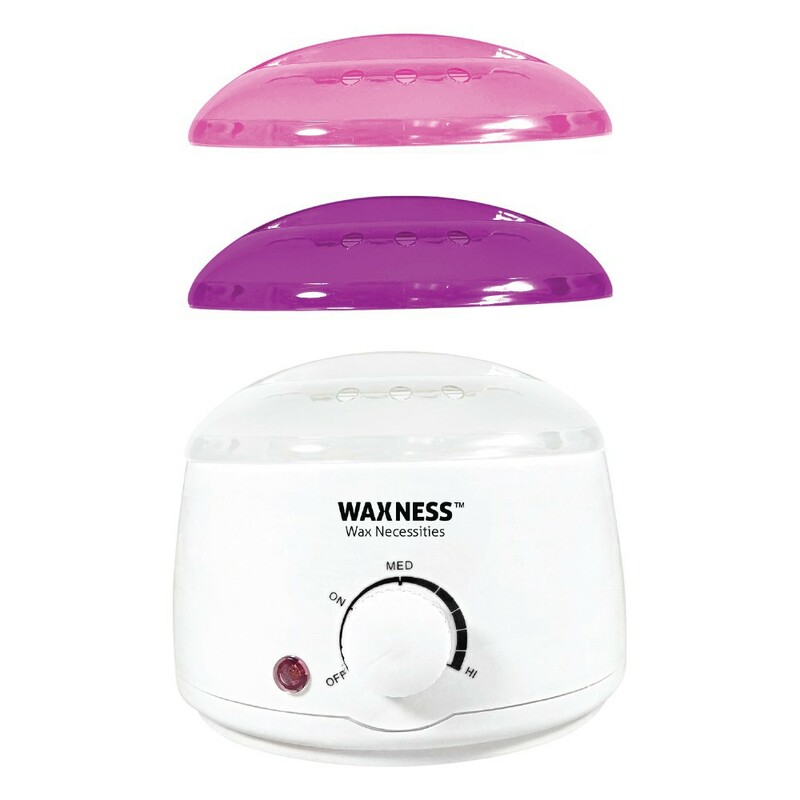 The Single Wax Heater is suitable for all types of hair removal, therapeutic waxes and paraffins. The temperature can be adjusted up to 100 degrees Celsius for a quick and even wax meltdown. The thermostat control knob and circular heating element can be dialled back to medium to maintain ideal consistency. RoHS certified.